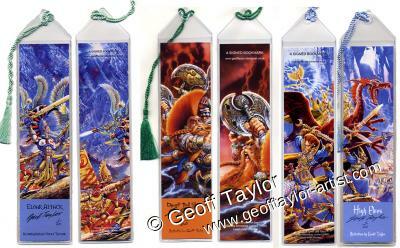 Bookmarks not only can they be used to keep your place, they can be collectable too! 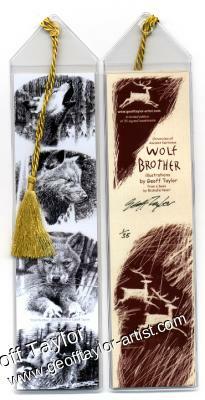 If you have been directed here by one of the images in the Galleries, and can not find a specific listing, please contact us for details as we don't itemise all bookmarks that are available. 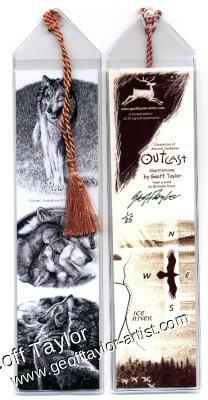 There are 15 different paintings that were selected for the bookmarks. 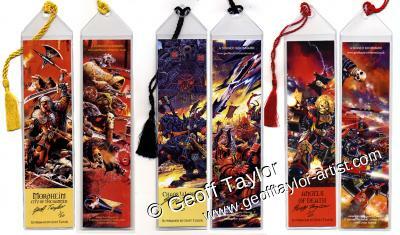 Each bookmark has 2 images, each image is 2 x 8 inches (5cm x 20cm), in a protective semi-rigid plastic sleeve which measures 2 1/4 x 9 1/2 inches, with a coloured tassel, though the colours of the tassels are likely be different to those shown below. 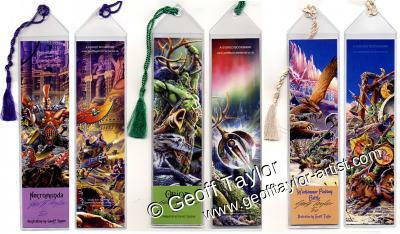 Only 20 bookmarks of each painting were ever made. 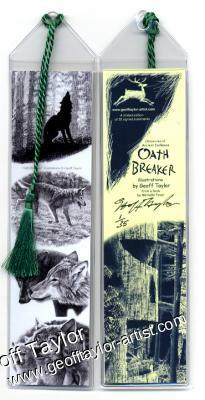 These are signed by Geoff and numbered. 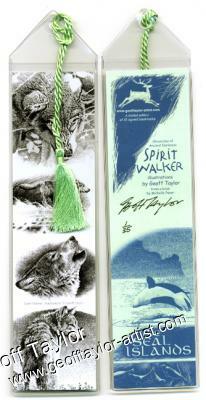 So not only do they start off as being highly collectable, we could even say rare ! 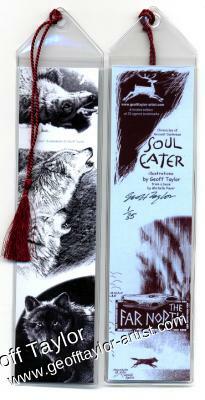 Designed using images that Geoff created from the books. 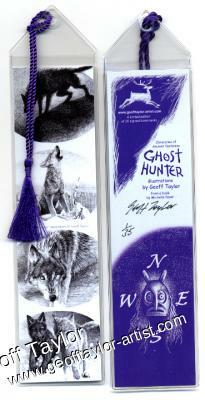 Each Bookmark is signed and numbered by Geoff, there are a selection of illustrations on the reverse side. 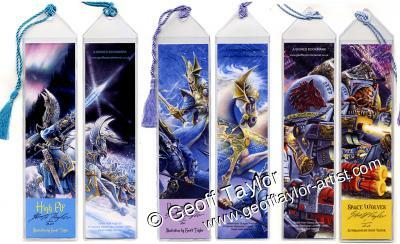 Here the photos show both sides of the Bookmarks. 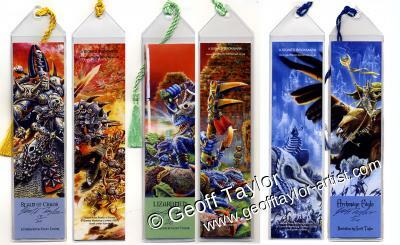 Each side or picture is approx 2 x 8 inches in a protective semi-rigid plastic sleeve which measures 2 1/4 x 9 1/2 inches, with a coloured tassel, though the colours of the tassels are likely be different to that shown here.